Young Leaders Council announces graduates of Fifth Annual Nonprofit Board Training Program Partnership with Williamson Chamber | Williamson, Inc.
Anthony Brais (Civil & Environmental Consultants); Joshua Britton (Acadia Healthcare); Will Brown (Stites & Harbison, PLLC); Chris Burger (CapWealth Advisors, LLC); DeAnna Croom (Pinnacle Financial Partners); Jennifer Abell Douglas (Sharecare); Addison Folcher (Brown & Brown); Stacey Garcia (Williamson County Convention and Visitors Bureau); Liz Anthony Garza (management consulting firm North Highland); Elizabeth Goodwin (Doster Construction Company); Chase Harper (TMA Group/VanStar); Kurt Jones (Williamson County Schools); Timothy Kirch (Charles Schwab & Co., Inc.); Kyle Kraemer (PricewaterhouseCoopers); Ashley Larcinese (Data Blue); Ryan McDonald (Bank Director); Jessica Mizell (High Hopes); Hunter Moss (Barge Waggoner Sumner & Cannon); Jennifer Presley (Elliott Davis); Brandon Priddy (906 Studio Architects); Diana Puglio (Rumbo Cultural Marketing); Virginia Reynolds (Sheridan Public Relations); Cody Schmits (Monroe Carell Jr. Children’s Hospital at Vanderbilt); Shikhar Shukla (Skanska USA Building, Inc.); Carmen Stanek (Franklin Tomorrow); Zachary Ward (Libra Business Solutions, LLC); Griffin Wilcoxon (Williamson, Inc.); Danielle Williams (Crowe Horwath, LLP); and Brittany Wright (Pinnacle Financial Partners). Since 1985, Young Leaders Council has been the premier organization for training nonprofit board members in the Middle Tennessee area and was created by the Council of Community Services, the HCA Foundation and the United Way to address the need to broaden and strengthen the local volunteer leadership base by training diverse and committed individuals to effectively participate on the boards of nonprofit organizations. 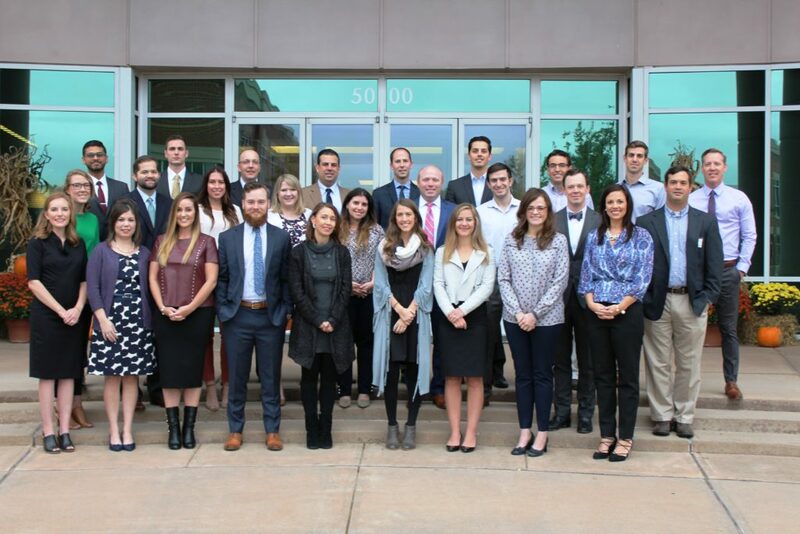 More than 150 graduates enter the nonprofit community each year from five YLC classes, including two in Davidson County and three in partnership with the Junior League of Nashville, Williamson Chamber and Massey Graduate School Alumni. For more information about Young Leaders Council, contact Diane Hayes at (615) 386-0060 or visit the website at www.youngleaderscouncil.org.